In 1758 Robert McNair bought the lands of Little Hill of Tollcross from Patrick Tod for £100, reputedly paying the transaction in cash, with notes kept in an old satchel. McNair was a successful grocer in 18th century Glasgow. He married Jean Holms, who took an active part in the business which became known as ‘Robert McNair and Jean Holms in Company’. The couple built a dwelling-house on the lands, and enjoyed a nursery garden with pear trees. McNair was noted for his meanness and declined to appoint an architect to oversee the building of his house. It was a two storey structure and upon completion became known as ‘Jeanfield’ to honour his spouse. It was an odd looking structure and caught the attention of travellers passing along Gallowgate en route by coach to Edinburgh. McNair died in his seventy sixth year at Jeanfield on 7th June 1779. The property remained within the family until 1797 when printer John Mennons purchased the estate. Mennons edited and printed the Glasgow Advertiser, which was the forerunner to the Glasgow Herald. Within a short time of acquiring Jeanfield, John Mennons sold it on to John Finlayson, who was married to one of the daughters of McNair and Jean Holms. Finlayson bought a further seven acres of land attached to Jeanfield, and started to sink coal pits. This venture was far from successful with flooding proving a constant problem. 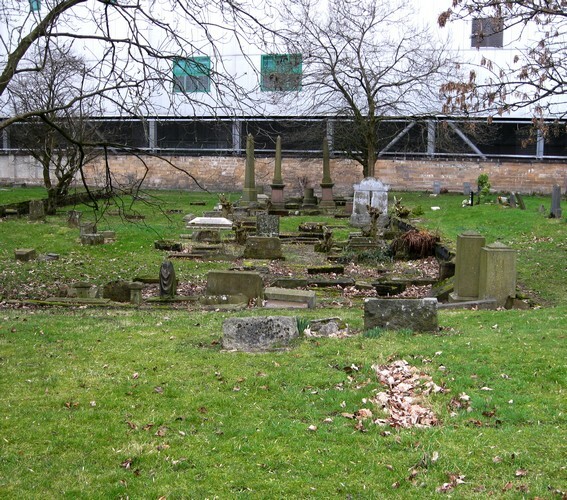 In 1846 Jeanfield was purchased by the Eastern Cemetery Joint-stock Company with the aim of laying out a necropolis to serve the east end of the city. By 1847 the original dwelling of Robert McNair was demolished and work began on laying out the burial ground. The laying out of a cemetery must have seemed like a sound investment to the original directorate, as the Parkhead area was evolving from a weaving and coal mining community into an industrialised suburb of the ‘Second City of the Empire’. Early maps reveal that the Eastern Necropolis was laid out in two phases, with the eastern portion opening first. 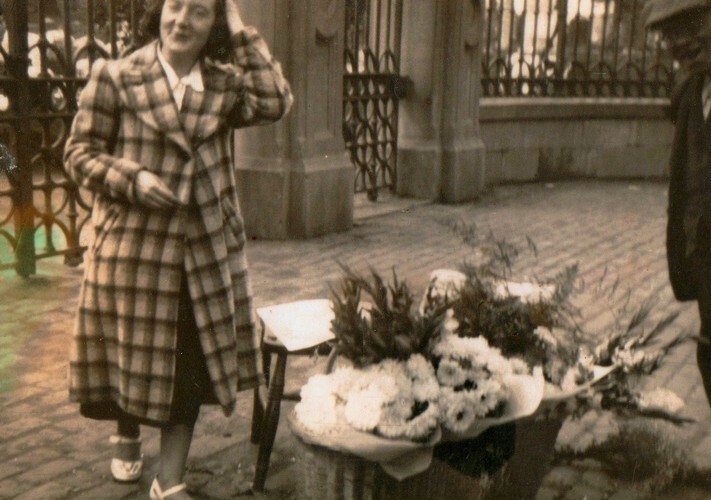 The first person you would have met as you entered Janefield would have been Elizabeth McKay, flower seller. This photo was taken around 1938-40 , Elizabeth lived in Bridgeton and was born in April 1905 ,Elizabeth’s maiden name then was McIlwhan, Elizabeth then married a Mr Mavlin in 1920 who sadly died in 1938, Elizabeth remarried in 1940 to Mr James McKay. Margaret Havlin sold flowers on this site before Elizabeth. A cemetery was opened by Glasgow Hebrew Congregation at the Eastern Necropolis (Janefield) in Parkhead (1264 Gallowgate) in 1855. Dublin-born Maria Barnett, wife of Levy Metzenburg (Metginburg), who died of ‘inflammation of the brain’ in September 1855 was the first to be buried there, and there were over 540 Jewish burials in Janefield up to 1935. The cemetery has not been in regular use by the Jewish community since 1900 .This section is now very overgrown and delapidated.